"Desi Pop" is one store that doesn't disappoint, filled with all kinds of handy items that are so pretty it makes me feel like it's a gift. They have everything from Glasses INR 500 to mobile covers INR 800, Coasters INR 100 each but you can pick and choose from the different designs available and make your own unique set. 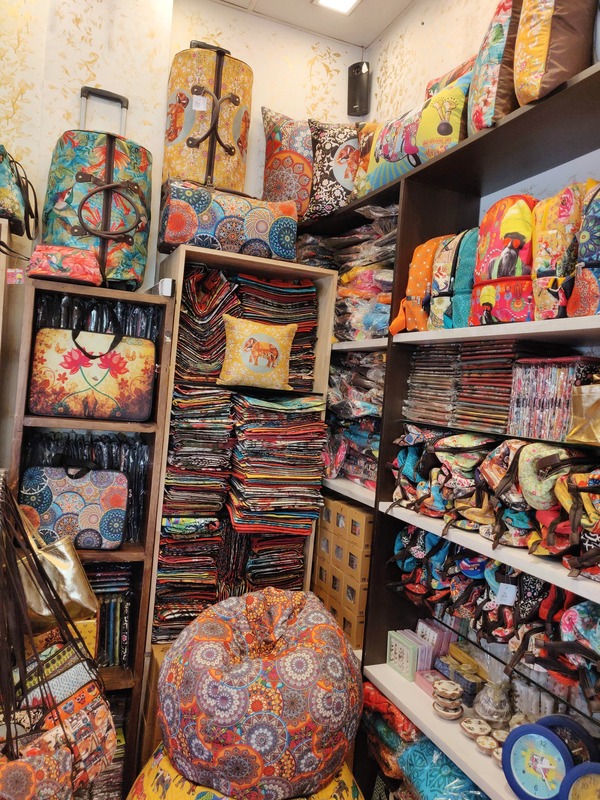 They even have bags, big and small, cushion covers INR 500 upwards. All items have been made in India by different designers. Do check this place out next time you are in Galleria Market Gurgaon. Would have loved to get a bedcover in their lovely designs.